Is low self-esteem better than pride? The Bible is pretty clear that pride isn't a good thing. James 4:6 says, "God opposes the proud but gives grace to the humble." Pride is a sense of worth based on skills, accomplishments, possessions, appearance, social status, or any other earthly thing. Pride can lead to feeling independent and worshipping ourselves or our stuff instead of God. Does that sound too extreme? Think of a material thing that everybody else wants. Got it in your mind? What if you received _______ from an anonymous admirer? What if you were the only one who owned _______? How would you feel? Would the _______ make you feel more desirable or important as a person? (Usually, the answer is YES. ☺) And there it is; that's pride. If we get our sense of worth only from earthly things, pride is a sure thing. It's like saying, "Look at me! I'm awesome!" Even if you are awesome (and let's face it, you probably are), it's prideful to shout it from the rooftops. Jesus said, "When you have done everything you were told to do, should say, 'We are unworthy servants; we have only done our duty'" (Luke 17:10). Okay, so we're agreed that pride isn't good. But does that mean that we should have low self-esteem instead? At first, it seems like low self-esteem is the opposite of pride; but really, it's a form of pride all on its own. Some people might have low self-esteem because they like when others feel sorry for them, or pay attention to them, or comfort them. 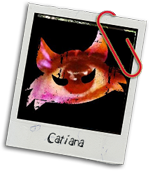 Low self-esteem can be a way of saying, "Look at me! I'm miserable!" which is just as much of a self-absorbed act as pride. Low self-esteem is another form of self-obsession and selfishness. We can't be full of ourselves, yet we can't be down on ourselves. What's left then? Selflessness. That is, dying to all sense of ourselves and deflecting any attention given to what we own or what we do to the One who deserves all the glory: God. After all, He created us to be who we are. He gave us everything we have (and He can take it away) (Job 1:21). Without God wanting you to exist, you wouldn't even be sitting there reading this. Psalm 16:2 reminds us that apart from God, we have nothing. Your sense of being "good" should not depend on what you do or what you own or who your friends are, but rather on the fact that you are loved by God (John 17:23), totally forgiven for your sin (John 3:16; Romans 5:8), and that there is nothing we can do or fail to do that will take away these facts (Galatians 2:16) once we have accepted the gift of Christ's sacrifice (Romans 6:23). Humble yourself before Him, and He will honor you! You can attain self-worth and esteem by having a right relationship with God. You are valuable because of the high price God paid for us—giving up the life of His Son, Jesus Christ—so that we can be free from sin and have eternal life in Heaven. God gave us worth when He purchased us to be His own people (Ephesians 1:14). Because of this, only He is worthy of honor and praise. When we have a healthy self-esteem that is based on who we are in God's eyes, we will value ourselves in the right way and not to the extent that we get wrapped up in selfish sin. Philippians 2:3 says that we should have humility, thinking of others as better than ourselves (Romans 12:3). What would happen if everyone thought everyone else was better than themselves? Can you imagine it? We would all be kind, giving, and respectful to one another. Pipe dream? Maybe. But all we can do is start with ourselves and the next person we see. Actually, neither one is a good thing. Pride is a sense of worth based on skills, accomplishments, possessions, appearance, social status, or any other earthly thing. (e.g. "Look at me! I'm amazing!") 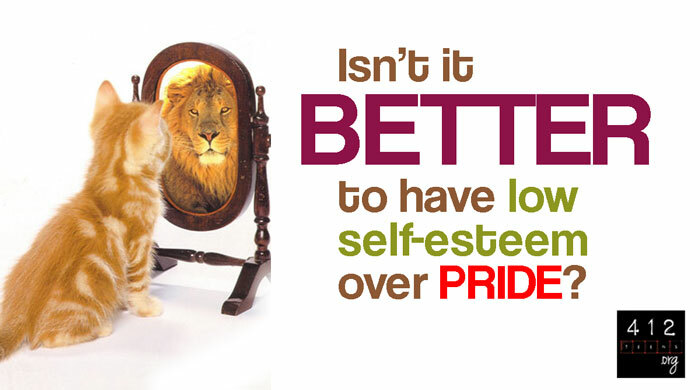 Low self-esteem is another form of pride, coming in the form of self-obsession and selfishness. (e.g. "Look at me! I'm miserable!") We can't be full of ourselves, yet we can't be down on ourselves. What's left? Selflessness. That is, dying to all sense of ourselves and deflecting any attention given to what we own or what we do to the One who deserves all the glory: God (Job 1:21; Psalm 16:2).